Data check: Should India be worried by Kuldeep Yadav, Bhuvneshwar Kumar’s dry spells in IPL 2019? The spinner and the pacer both have struggled for form this season, picking up just three wickets each. Somewhere in mid-2018, India emerged as the favourites to win the 2019 World Cup and it was not because of its formidable top-three batsmen. They had just steamrolled Australia at home and South Africa in their own backyard in One-day Internationals. A rare loss to England seemed more like an aberration and wrist-spinner Kuldeep Yadav was a central to his side’s wins. Barely a year into international cricket, Kuldeep, along with fellow leg-spinner Yuzvendra Chahal were bamboozling opponents. The left-hander now had a hat-trick, a six-wicket haul, and was a regular game-changer. If the spinners didn’t get you, the pacers would and very few batsmen have had answers to Jasprit Bumrah. His sling-arm action and clever variations were a revelation in five-day cricket as well. Bhuvneshwar Kumar, despite missing out of action on occasions with injuries, was in the mix as well. When there was a fully fit squad at skipper Virat Kohli’s disposal, it was understood that Bumrah and Kumar pick themselves as the new-ball pair. This composition is expected to be India’s bowling attack for the World Cup, starting next month, as well. However, the ongoing Indian Premier League would give the team management headaches going into the quadrennial event with Kumar and Yadav failing to make a notable contribution in the wickets column. This is not to say that Yadav and Kumar have been complete disasters. Batsmen have still treated them with respect and that reflects in their economy rate. Their parsimonious outings have set up victories for Kolkata Knight Riders and Sunrisers Hyderabad. 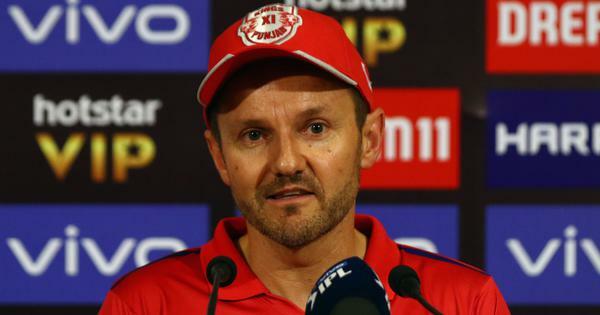 We are just closing in on the half-way mark in the season and both the aforementioned IPL teams are yet to hit their stride, and are struggling for consistency. Kumar is leading his franchise this time around. Under David Warner in particular, the 28-year-old was the wrecker-in chief, playing a leading role in Hyderabad’s victorious 2016 campaign. He followed that up with fine displays in the 2017 edition before losing a bit of form in the previous season, where his side finished runners-up. Yadav, meanwhile, has rarely been tested in the powerplay by Dinesh Karthik. 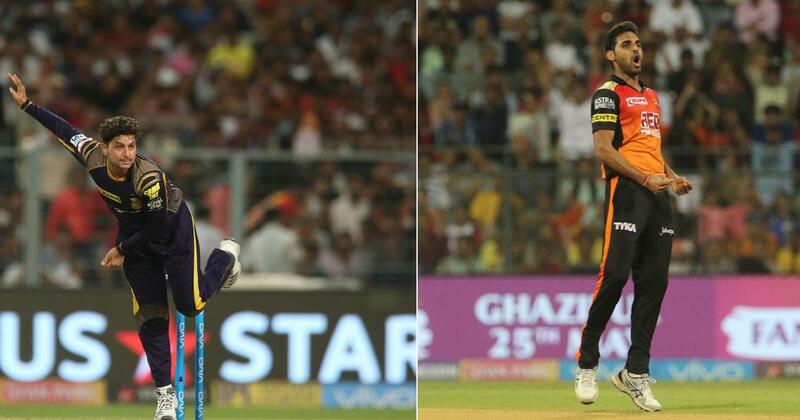 In fact, senior leg-spinner Piyush Chawla or Sunil Narine have been given a go in the first-six. In the middle-overs, batsmen have typically tried to play Yadav out safely before throwing caution to the wind at the death against the pacers. Not operating in the powerplay, where batsmen tend to use the long handle to cash in on the field restrictions, wasn’t a deterrent for Yadav a year ago. He finished with 17 wickets at 24.58 apiece. The 24-year-old warmed up to the IPL with wickets to his name as well, picking up 10 wickets against Australia in five ODIs even if his economy rate was a touch under seven. But Yadav has cut a frustrating figure for Kolkata, with just three wickets to his name and going wicketless for five matches. He hasn’t gone for too many, though. As mentioned earlier, the opposition perhaps don’t want to take him on and risk throwing away wicket cheaply. Kumar, like Yadav, came into the IPL on the back of wicket-taking form even though Bumrah operated alongside Mohammed Shami for a better part of the Australia series. The back end of the innings – which is usually Kumar’s forte – has not been a happy hunting ground so far. Like Kuldeep, he has not leaked many but the lack of numbers in the wickets column remains a worry. In one of the earlier games at Eden Gardens, the devastating Andre Russell tore into him before taking his team home from an improbable position. There is still a lot of cricket left to be played in the IPL and Yadav and Kumar, who have had an underwhelming tournament so far, can finish things off on a high. But India’s World Cup hopes hinge on these two delivering the goods and there is enough cause for worry as things stand. One can also argue that the captaincy might be weighing heavily on Kumar, who was thrust into the role this season out of nowhere. Only time will tell if this is a perennial slump or just a blip in the radar before Yadav and Kumar deliver in India colours. As of now, as strike bowlers, they have big roles to play for their respective franchises, both of whom are vying for a spot in the play-offs.